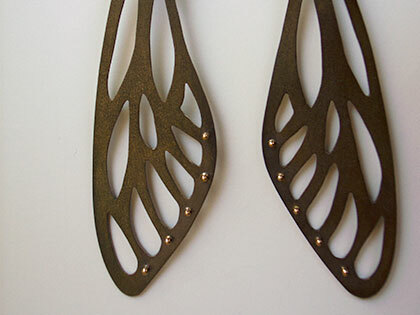 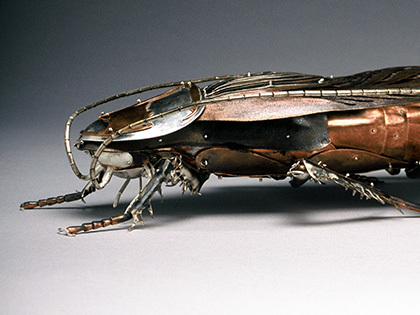 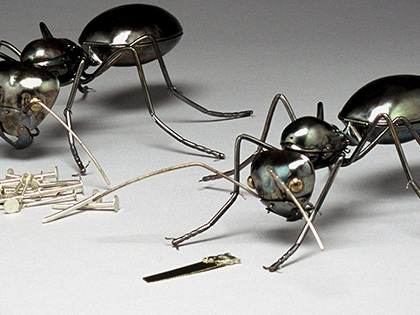 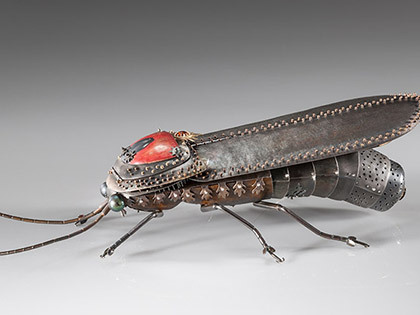 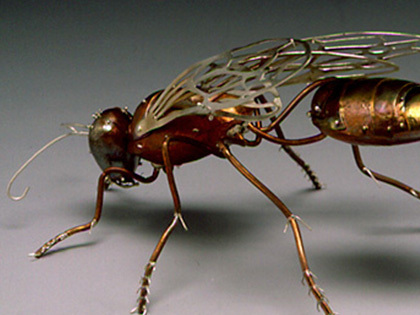 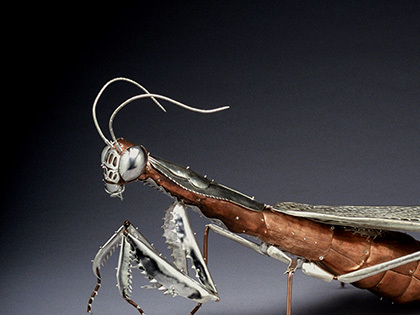 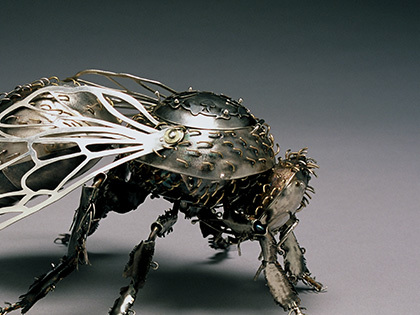 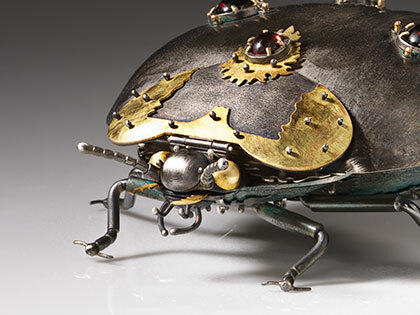 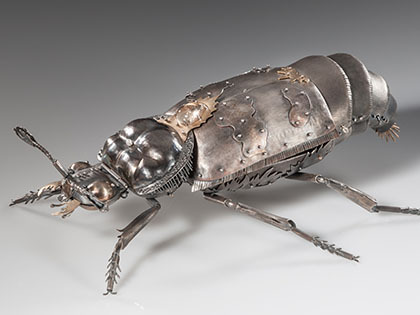 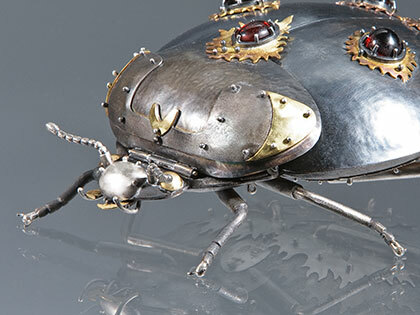 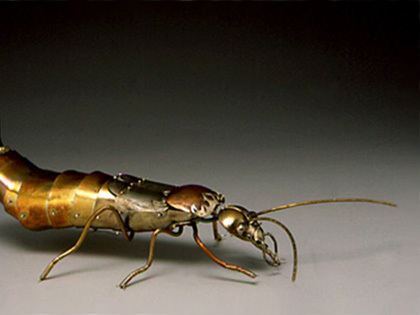 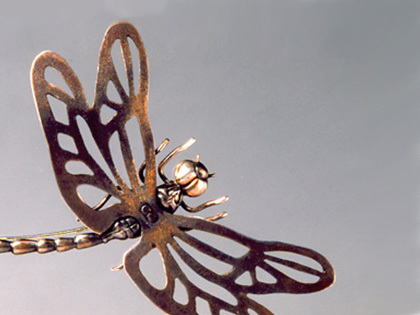 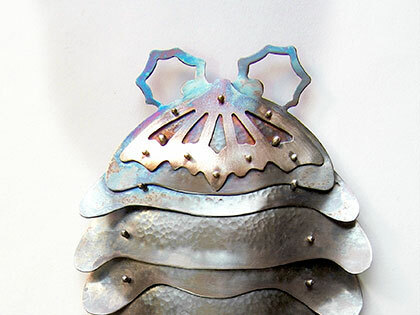 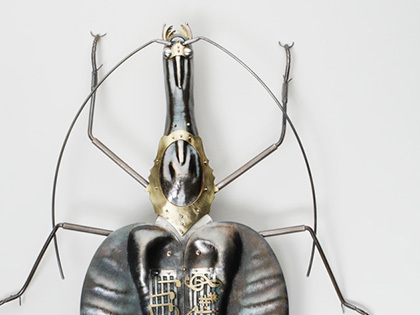 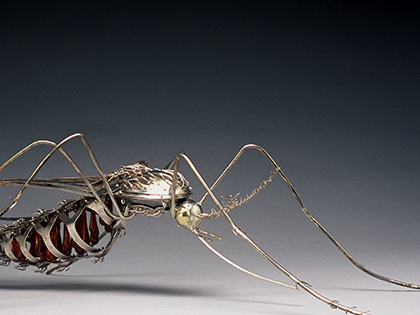 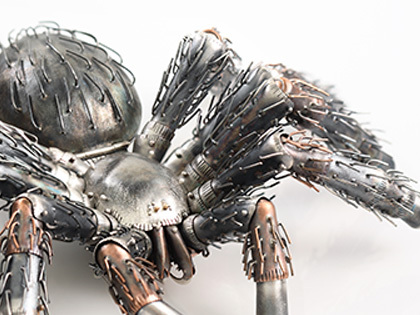 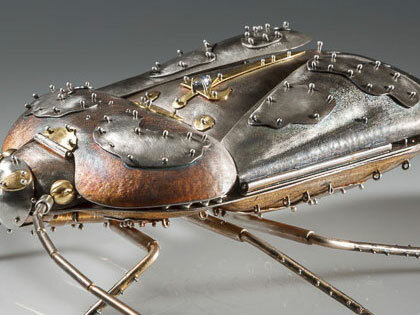 I create one of a kind, larger than life, highly detailed metal insects. 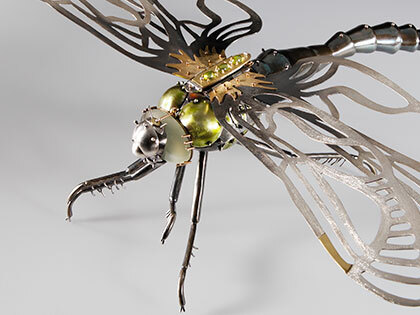 Each complex, nature perfect sculpture incorporates gold, silver, enamel and gemstones in its construction. 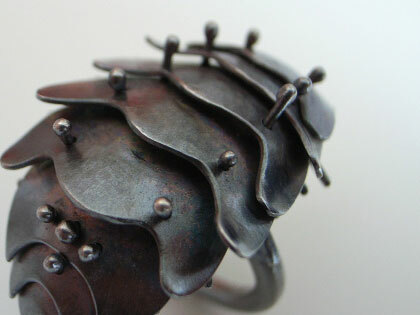 I am a metalsmith. 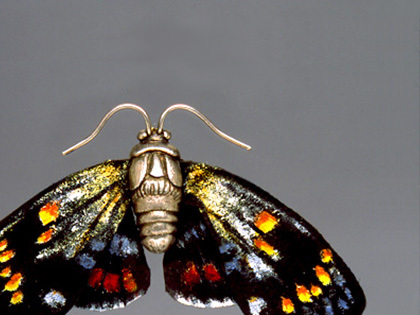 Having grown up on a farm, I am interested in the natural world. 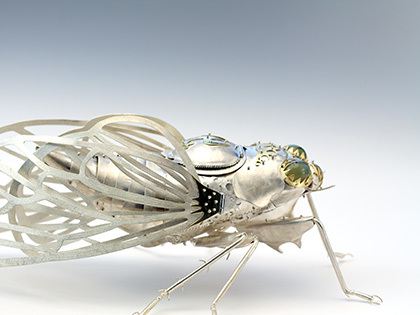 My focus in recent years has been on creating one of a kind, larger than life, highly detailed metal insects. 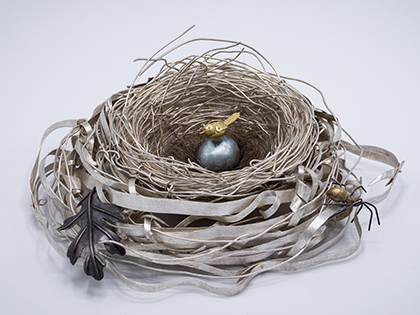 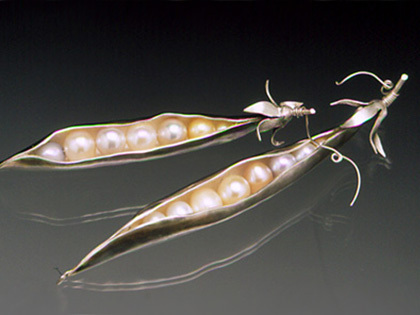 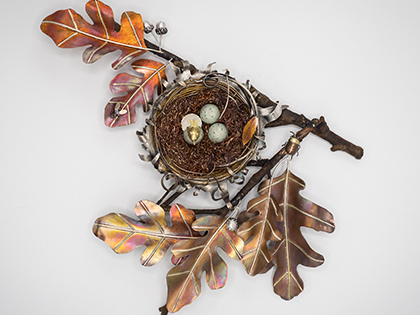 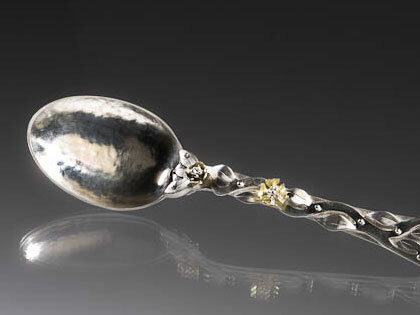 I incorporate precious metals, gemstones and various other materials in their construction. 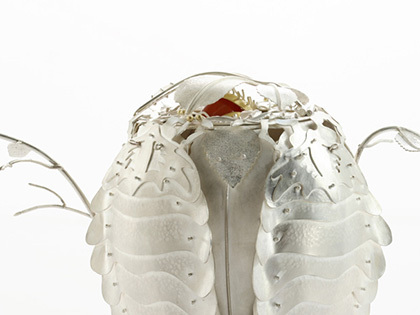 Articulated body parts and the use of obvious rivets are important devices. 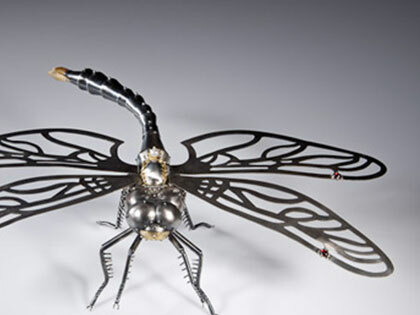 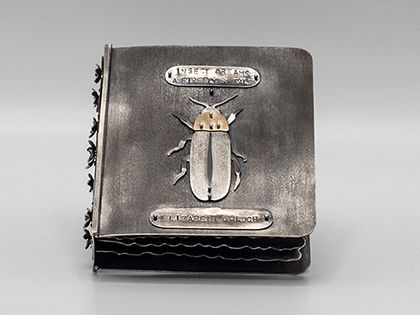 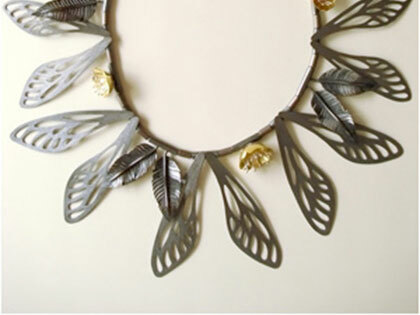 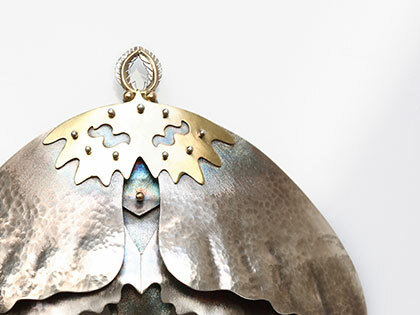 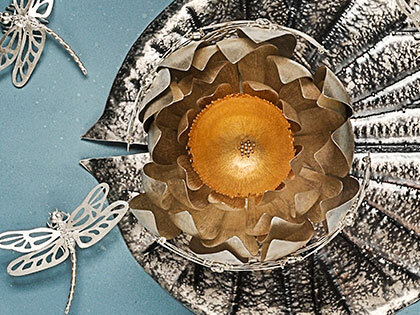 The decorative details and the treasure contained in each piece reference elements of insect life, lore and environment. 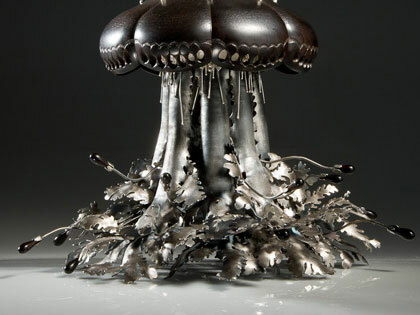 She has received awards from the Canada Council for the Arts and the Nova Scotia Department of Tourism, Culture and Heritage. 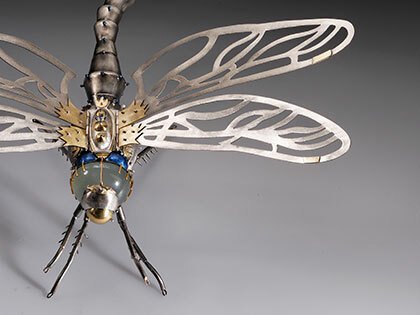 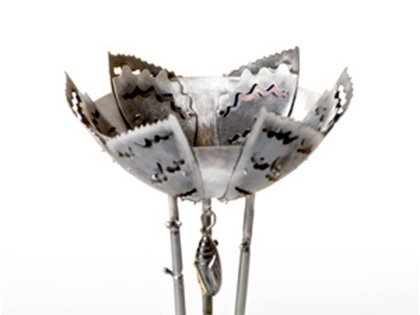 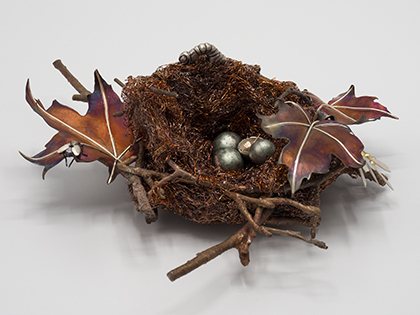 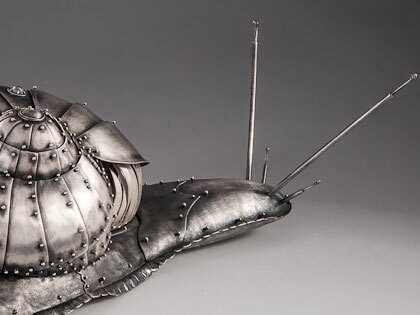 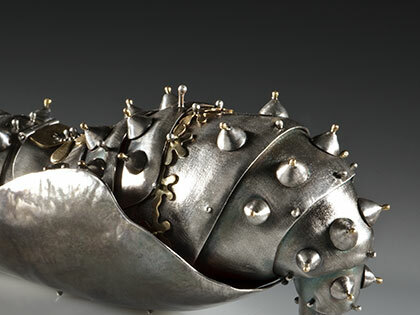 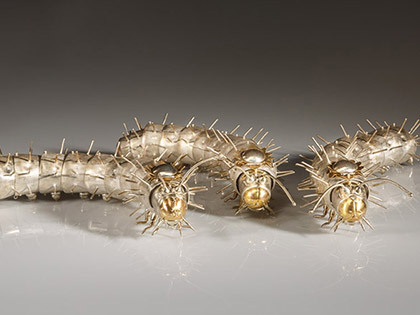 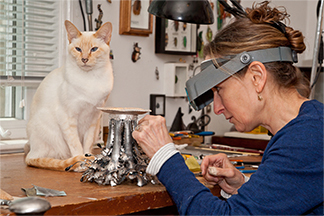 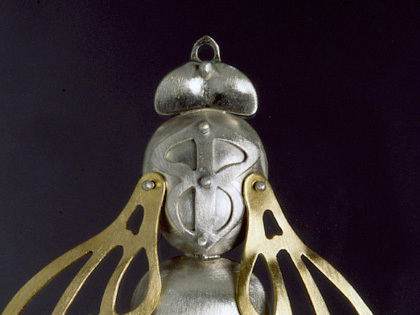 Her sculpture, CICADA (“I’ll Sing in the Sunshine”), was a Nominee and a Finalist for the Lieutenant Governor of Nova Scotia Masterworks Arts Award. 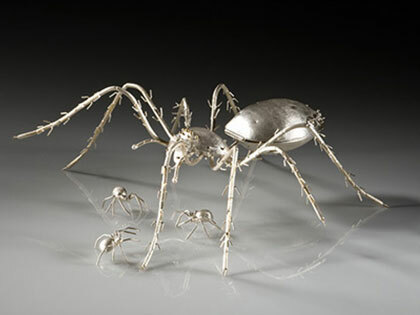 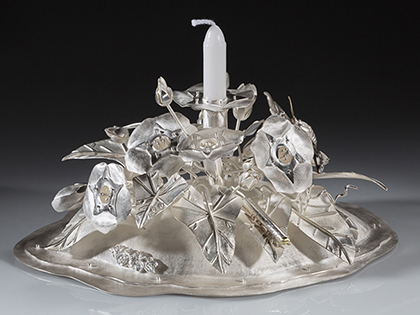 Elizabeth’s work has been shown in Canada, the USA, the Czech Republic and Korea, and can be found in public and private collections in Canada, the USA, Denmark, Australia and Hong Kong.